The gorgeous rugged coastline of legendary Lake Gitche Gumme. 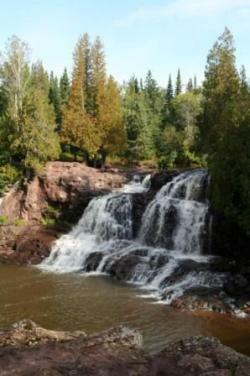 Rushing waterfalls, canyons, mountain streams, and North Woods forests. 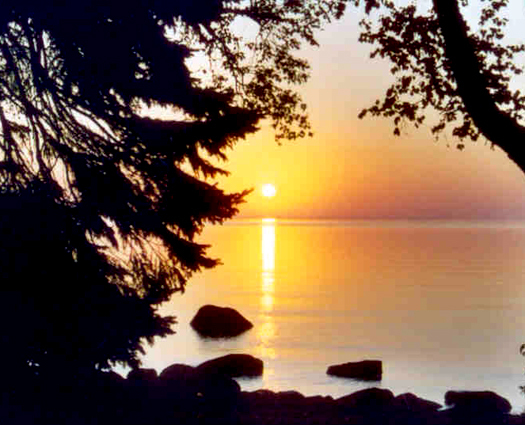 Cove Point, our 5-star, lakefront lodge located on a 150-acre nature preserve. Stroll to Superior’s gorgeous shoreline, and watch sailboats and the sunrise from your Adirondack chair. Famous, cliff-top Split Rock Lighthouse and its keeper’s quarters. Sunset dinners at lakefront restaurants. 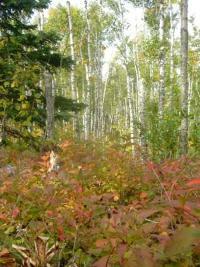 North Woods wildlife, including moose, black bear, wolves, and porcupines. 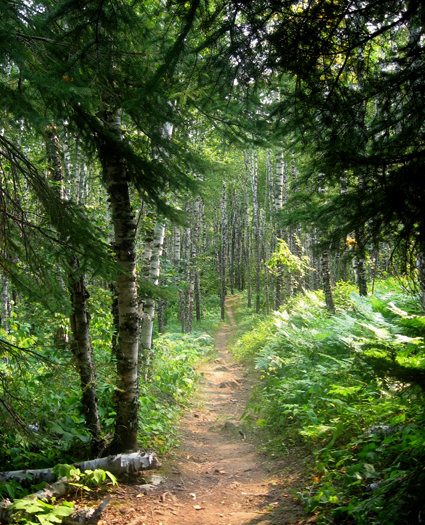 Each day, we’ll hike portions of the Superior Hiking Trail, named one of the nation’s best and most scenic paths by Backpacker Magazine. 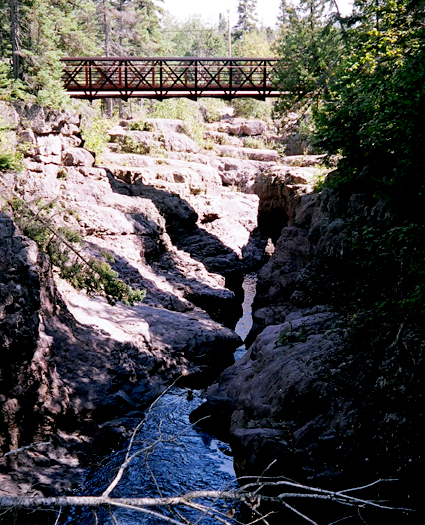 This 275-mile-long footpath follows the rugged ridgeline of the Sawtooth Mountains, which hug Lake Superior’s shoreline from Duluth to Canada. 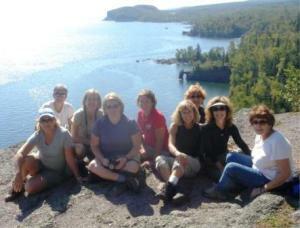 * This trip is also available as a 6-day trip Sept. 11-16, 2011. Information about that trip is posted under Weeklong Trips at www.TrailboundTrips.com . Drive to Cove Point Lodge near Beaver Bay, MN. Or fly into Duluth Int’l Airport, and rent a car. Settle into your cozy lakeside room. Enjoy superb food and mesmerizing lake views from Cove Point’s dining room. 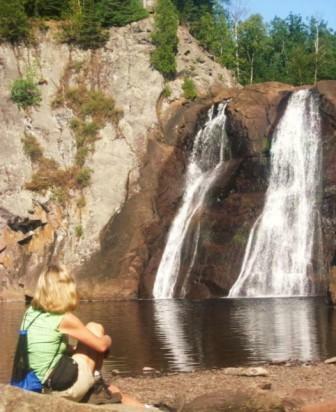 Hike 5 miles along a series of spectacular waterfalls and then to a lookout point overlooking Lake Gitche Gumme, the world’s largest freshwater lake. 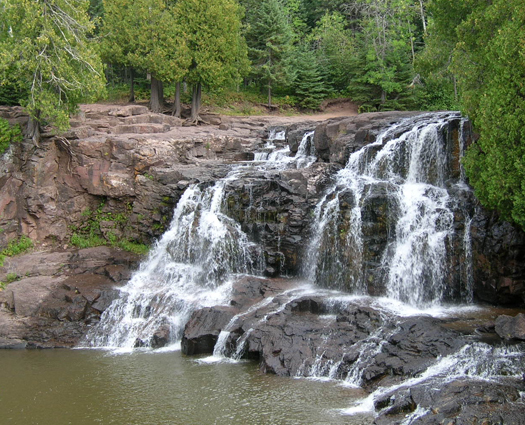 Enjoy free time to meander along the falls, shoot pictures, and visit the park’s great nature gift center, wildlife exhibits, and videos. 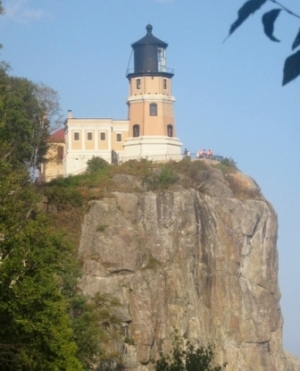 Tour Split Rock Lighthouse, its fog room, and the vintage home of the lighthouse keeper. Stroll a mile along Superior’s shore with unbeatable views of the lighthouse. Savor a sunset dinner at the Northern Lights, overlooking late-summer gardens and Lake Superior. 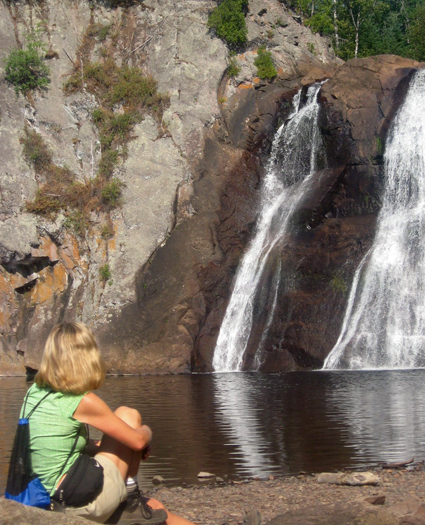 Hike 3.5 miles through the Tettegouche wilderness and past towering waterfalls. 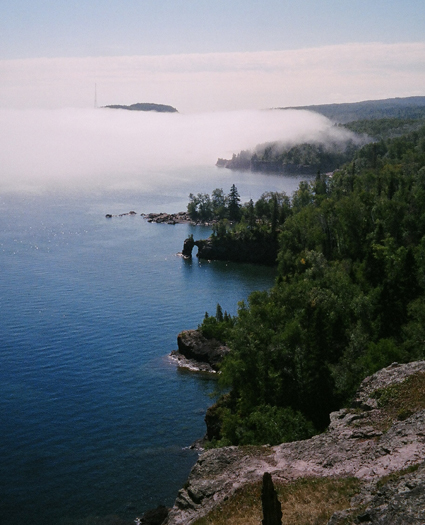 Drink in spectacular vistas of Superior’s coastline and North Woods forests from high atop coastal cliffs on this 1-mile hike. Enjoy a casual dinner at Cove Point, and then munch popcorn, sip wine, and swap fireside stories in the lodge great room. 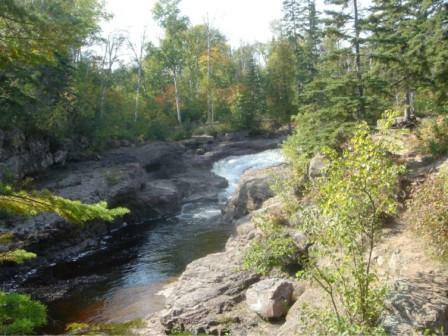 Hike 5 miles through a vast white birch forest, up to a scenic mountain peak, and along the Temperance River’s cauldrons, as it tumbles wildly through narrow canyons. 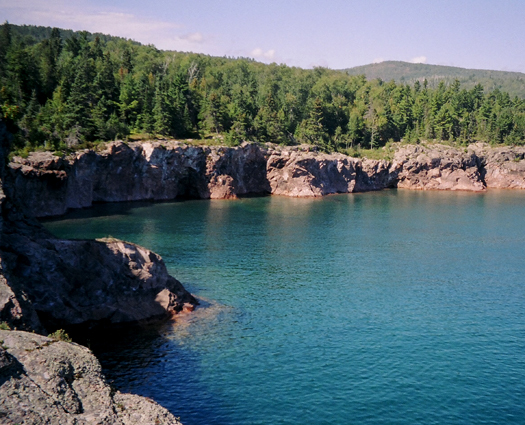 Relax and reflect at a secluded section of Superior beach. Gather for our last evening together, with our signature lakeside campfire. 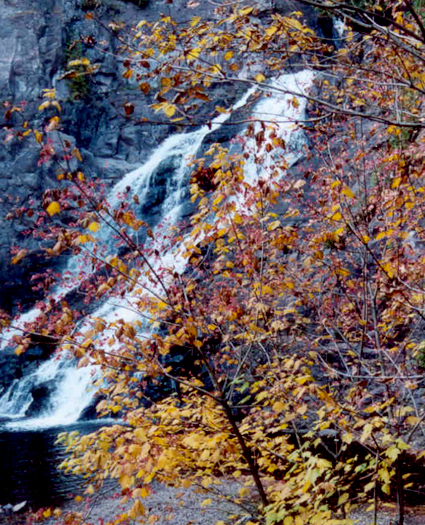 Head home - or opt to explore this beautiful place for another day. Our signature discussions, which foster warm camaraderie and helps you view nature and yourself in new ways. Information on what to bring; fun facts about the area, its history, weather, and wildlife; and tips about other fun things to do if you stay an extra day. “ This trip was extremely well organized. The leaders went out of their way to make sure we were enjoying ourselves and had everything we needed. 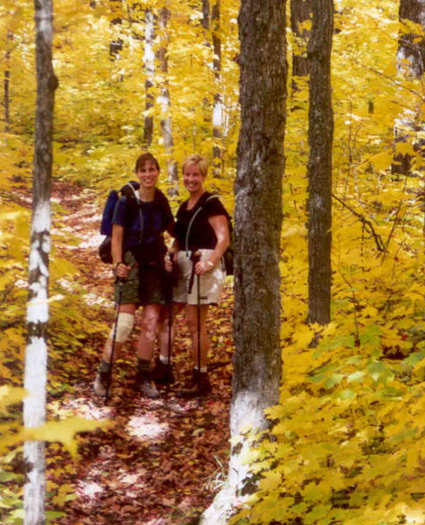 I would love to share one of these trips with a friend.” -Amy S.